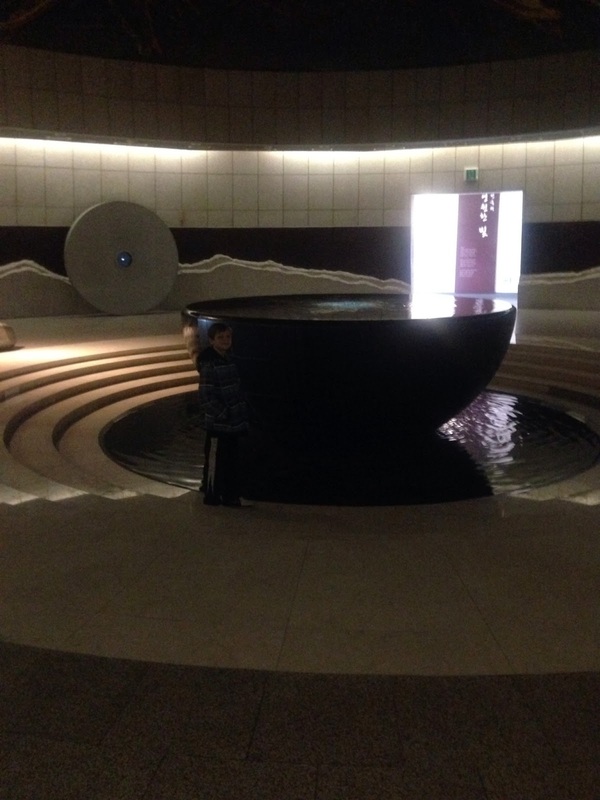 Last week my family and I went on a trip to Seoul, South Korea. We took our trusty sightseeing friends, "The Vegas," and embarked on our 5-day adventure. I didn't know what to expect from the country as far as hospitality, food quality, etc. 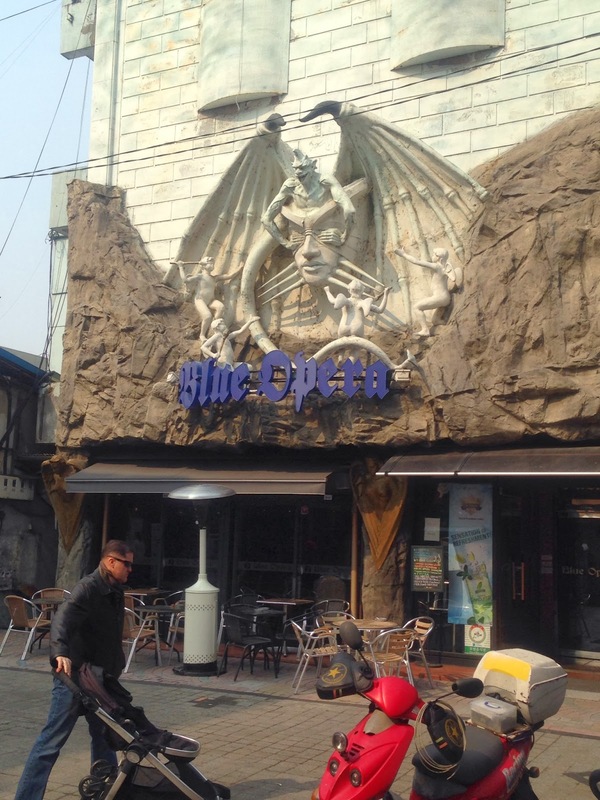 I will simply say that Seoul did not make a good first impression. Despite that, my husband (Andrew) had a funny encounter with a 20-something Korean man in the airport who is a student studying Japanese in Japan. He and Andrew were piecing together a conversation in English, but responding to each other's questions in Japanese! We were well prepared in the amount of winter clothes we brought. In February there was still some snow on the ground with temperatures only making it into the low 40's for highs. The flight from Fukuoka to Seoul only took about an hour, and after easily moving through baggage claim and customs, we were on a bus to the Dragon Hill Lodge at Yongsan Army Base. I was surprised to see everyone drive on the RIGHT side of the road. The road signs were green instead of blue and we were pointing out signs for Papa John's and Domino's Pizza with great enthusiasm. 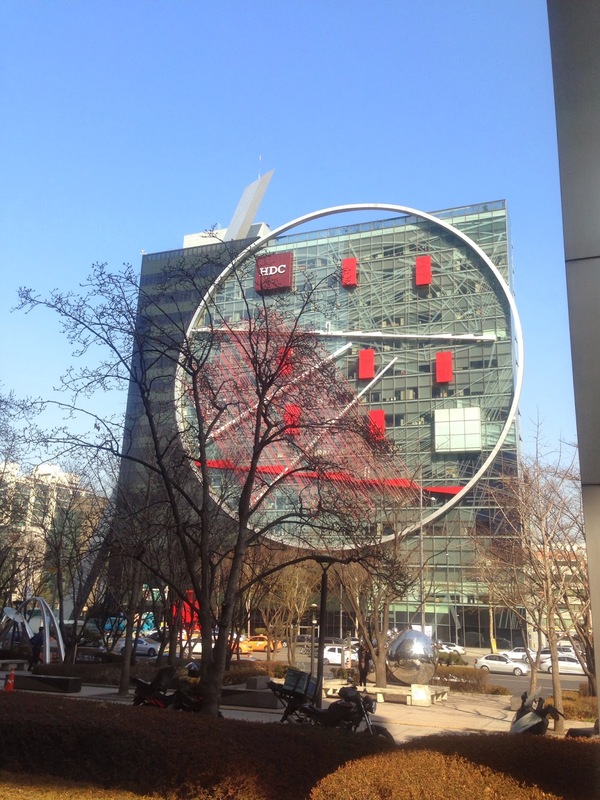 Seoul is definitely "big city" living and full of modern architecture. I wasn't mentally prepared for that. It clarified how rural our surroundings are in Sasebo, Japan and how accustomed I had become to "small town" life. After spending two years in GTMO before moving to Sasebo, can you blame me? Anyway, our accommodations at the Dragon Hill Lodge exceeded my expectations. I highly recommend this hotel for those eligible to stay there. It's comfortable and full of good food. We honestly did not eat one bite of Korean food out in town. We didn't plan it that way, but whenever we were ready for a meal, we just happened to be in the hotel at the time. Our first full day of sightseeing began on foot. The Korean War Memorial and Museum is a five minute walk from the base gate. The statues, planes and tanks sitting outside the museum was kind of like a museum in itself. The common theme within the memorial calls for reconciliation between North and South Korea. This statue is of two brothers, one fighting for the South and the other fighting for the North, coming together to mend their differences. Following are some other monuments that surround half of the museum's perimeter. My son usually isn't one to be willing to pose for pictures, but if he's surrounded by military machinery that represents his dream of being in the Air Force, well get your camera ready! Inside the museum you will find several floors that tell the history of Korea going back hundreds, even thousands, of years. There was one glass enclosed display that had a diorama complete with live action holograms of people depicting certain legendary leaders of the Joseon dynasty. The acting was TERRIBLE, but the information was interesting. We also walked through an area that serves as a memorial to those who have died in battle. I thought the structure was very unique. See picture below. 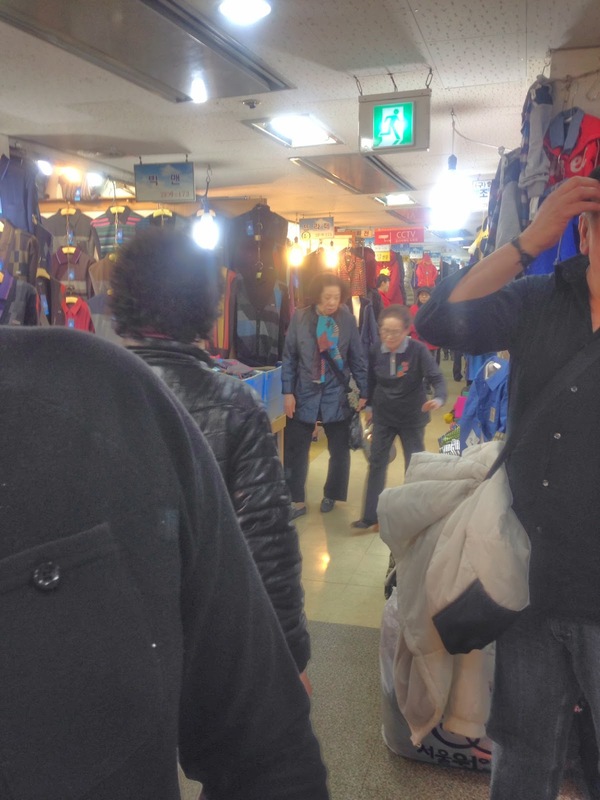 After taking our time at the memorial, we hopped in two separate cabs to one of the largest markets in Seoul. 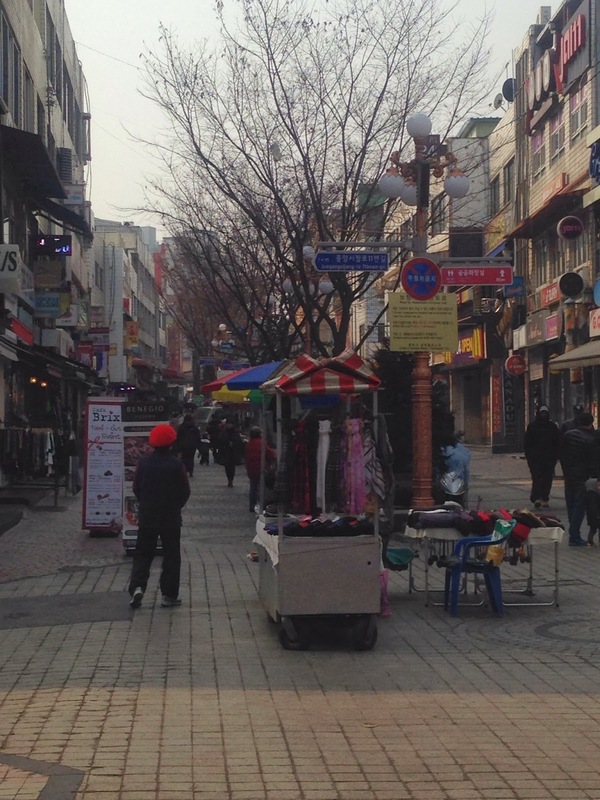 Seoul is not a walking city. You have to use public transportation to get anywhere. I was impressed with the efficiency of the taxi and Metro services. They were affordable, too. 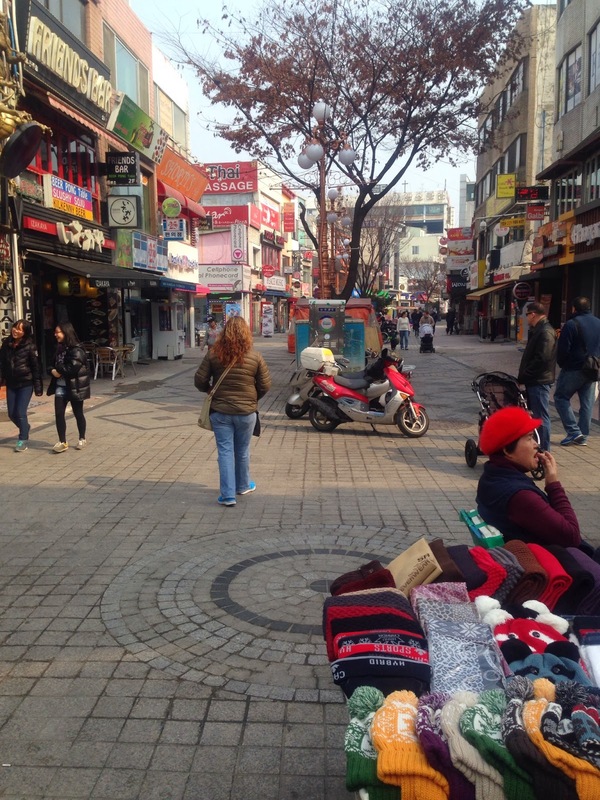 We stopped at Dongdaemun Market and walked down a long street of shops filled with souvenirs, bedding, clothes, and more. One of the shops we walked into opened up into a warehouse that looked like Jo-Ann's had taken up residence inside. It was very crowded and discovered almost immediately that the Japanese spirit of saying "excuse me" was no where to be found. We were bumped and jostled and we weaved our way past vendors on multiple floors. 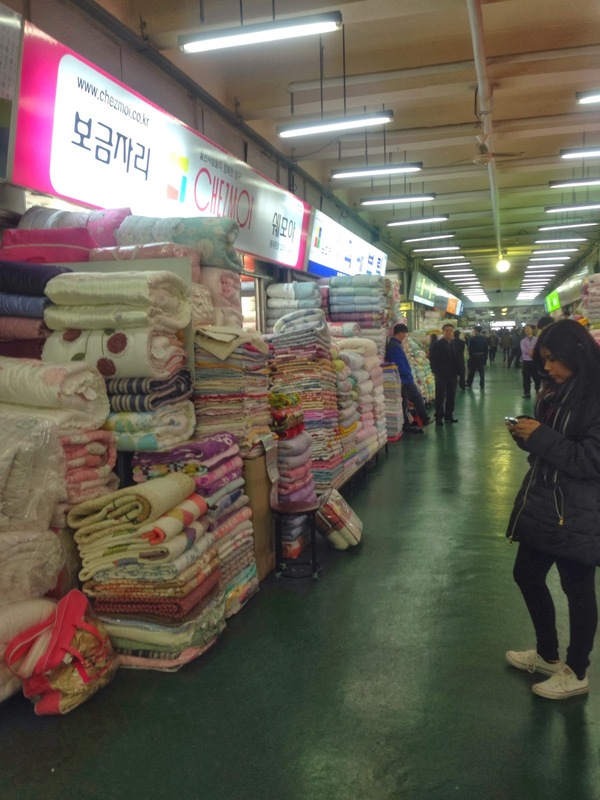 A lot of tourists go to Korea for the "mink blankets." They're not made of mink at all, but an extremely soft polyester material of some sort. People were selling them all over the place and piled high in various colors and patterns. 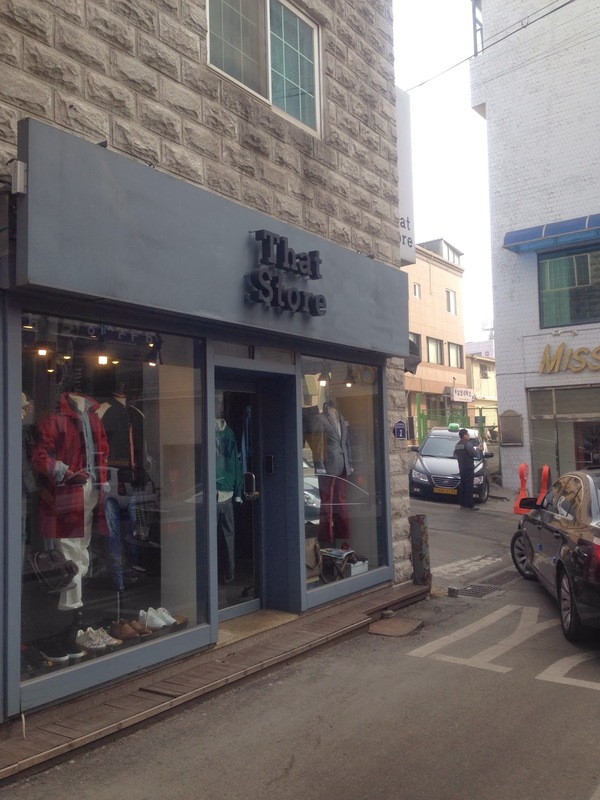 We also went into Pyeounghwa Clothes Market that was set up the same way. It felt like walking into a windowless warehouse where everybody brings a walk-in closet sized booth full of clothes lit with fluorescent light bulbs lined up on both sides of a very narrow aisle. Inside some of the booths were small platforms that the sales person would sit on waiting for customers. Some even had a small TV with programming of the Olympics or the news. One lady was giving herself a pedicure, nastily filing and clipping away toenails right in the middle of the store!! No kidding. It was so gross. None of the clothing really appealed to me. I have a hard time buying clothes on this side of the world anyway because they're usually too small. And, the clothes in this market looked cheap and out of style. One big difference between Japan and Korea is that you can bargain with the Koreans. They are very pushy, though. There is little tolerance for indecisiveness, so if you think you're not going to buy something, they will literally show you out of their space. However, if you actually show interest in something, you are almost obligated to buy it. I believe this is more common in the street markets than the retail stores. But even the retail store employees hover closely if you even pick up an object to take a closer look at it. As we moved through the market we were encouraged to keep moving in one direction. If we clogged up the aisle, we were simply moved aside without a word. At one point I was standing in the aisle, and a lady came right up behind me so close that I physically felt her presence. I turned around and she just looked at me like I should've known better than to stand in her way. Again, no "excuse me," just a look. I thought it was hilarious, but offensive at the same time. After deciding we had had enough of the market scene, we took a cab to the COEX building which was supposed to have an underground mall. 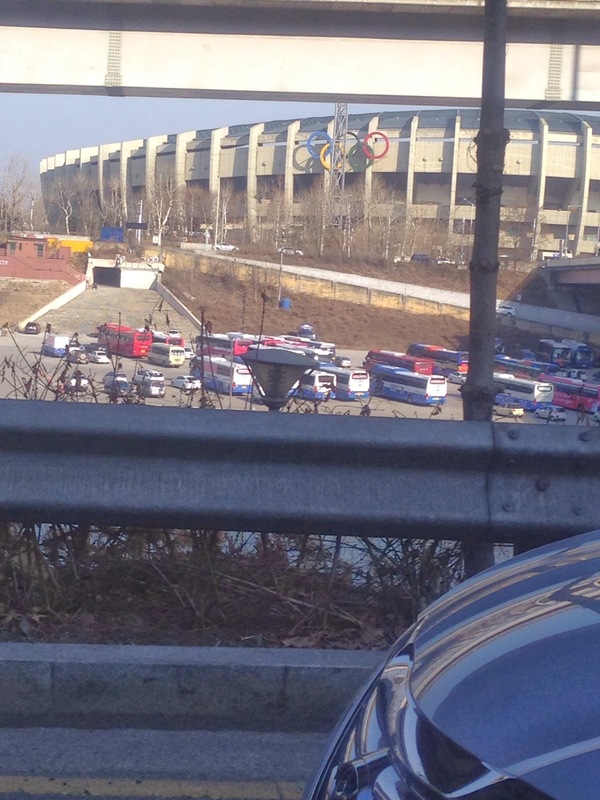 On the way we passed the Olympic stadium that was built for the 1988 Summer Games. We were disappointed to discover that over half of the mall was closed down for renovation, so we walked through the smaller area of open retail stores and ate at a café that promised not to destroy our budgets. There was an Outback Steakhouse but the food was terribly overpriced! From there we went back to the hotel and enjoyed the fabulous spa in the large fitness center. It was a good way to end the day. 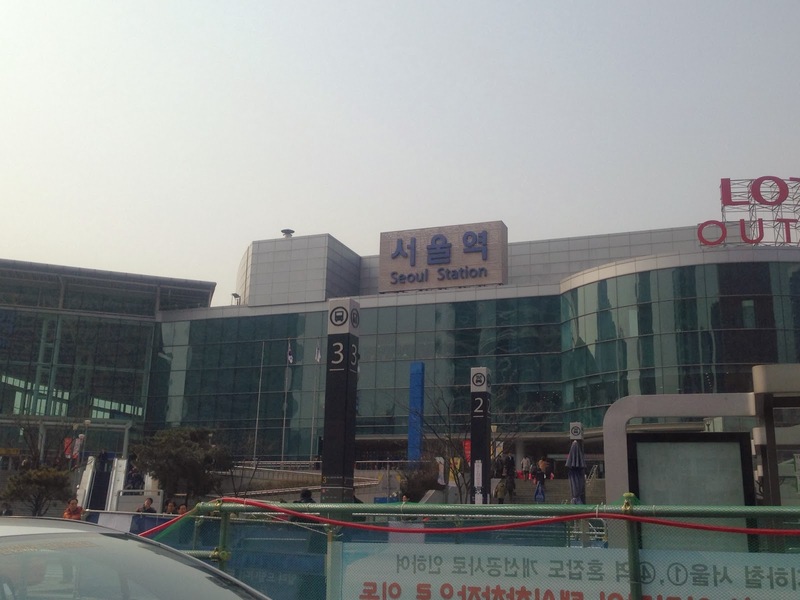 After a day in Seoul we decided to hop on a shuttle bus to Osan AB to check out the shopping scene there. 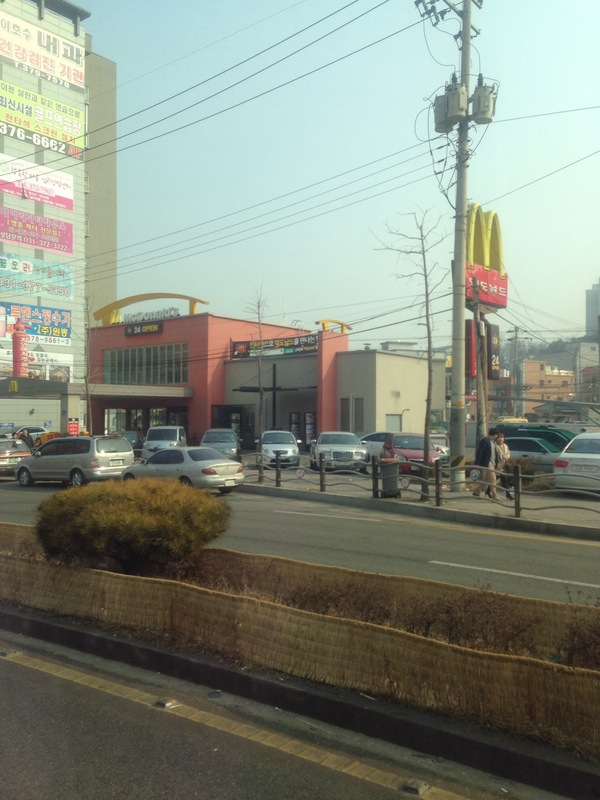 For $6 you can take a shuttle from Yongsan to Osan so you don't have to worry about driving there yourself. 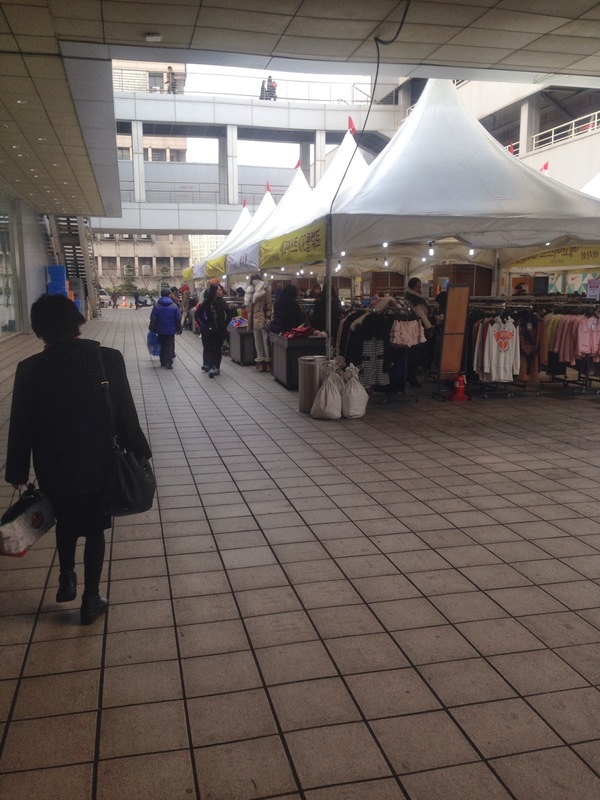 Immediately outside Osan AB is a rather large marketplace. The streets fork in a couple different directions so we veered off to the right and found ourselves in a shady looking shopping area. The stores' windows were covered from the inside with an opaque plastic so you couldn't really see in to see what they had for sale. The only clues were the rows of handbags lined up toward the top of the window or "mink" blankets hung up outside. You also can't simply open the door and walk into some of these stores. If you linger long enough outside of one, the sales person will come out and let you in. And so begins the uncomfortable exchange between me and the hovering, over eager sales person. I have been looking for a purse that would replace my well used yellow canvas bag I've been traveling with for almost 20 years. I was thinking surely I would be able to find something in one of the biggest handbag capitals of the world! 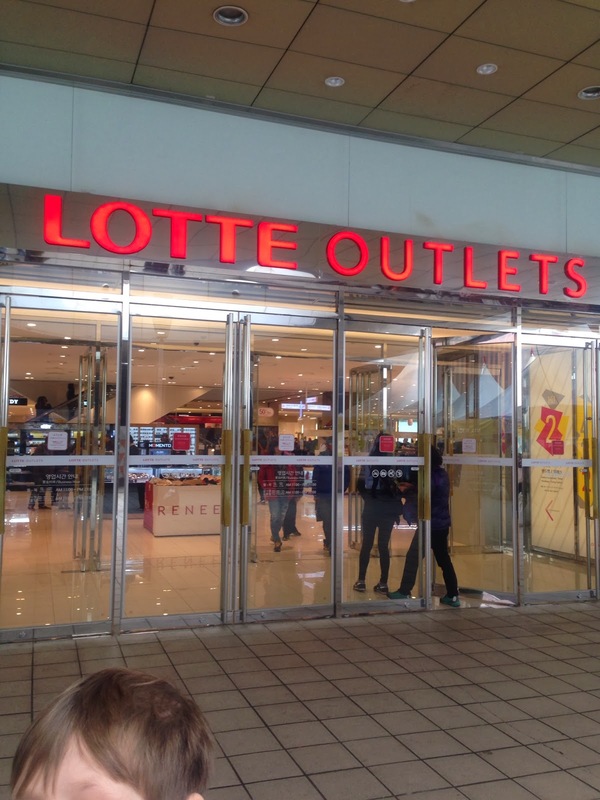 It turns out Korea is well known as a "knock off" distributor. If you are not familiar with the authentic characteristics of a Coach, Michael Kors, or Louis Vuitton bag, then you will most likely fall for some of the MANY knock-offs that I saw on this shopping trip. I honestly don't know too much about Coach characteristics, but I've seen enough of them to know that the fonts used for the Coach letter "C" in Korea did not match the ones I've seen in Japan or Stateside stores. These kinds of bags were being sold for $30-$50 in Osan. Some people are fine carrying around knock-offs, but I'd rather save my money and buy the real thing. What's worse is that some of these stores have basements with additional purses. A couple of sales ladies invited me to have a look at their secret stash, and I was a bit hesitant thinking there's somebody waiting to attack me in the bowels of the store. I was traveling with another family, so I took one of my friends with me and we went down to a walk-in closet sized basement to find more shelves of fake, high end purses. This one store in particular had a 4'x3' cut out in the wall that we literally crawled in to find an even smaller shelved space full of purses. It was one of the weirdest, shadiest things I have ever seen in a store. I honestly didn't see anything that appealed to me, so I wasted no time finding my way back to daylight. Here are some other photos of the area. Before heading back to base, my husband decided to go into one of the optical shops to replace the glasses he lost a few months ago. 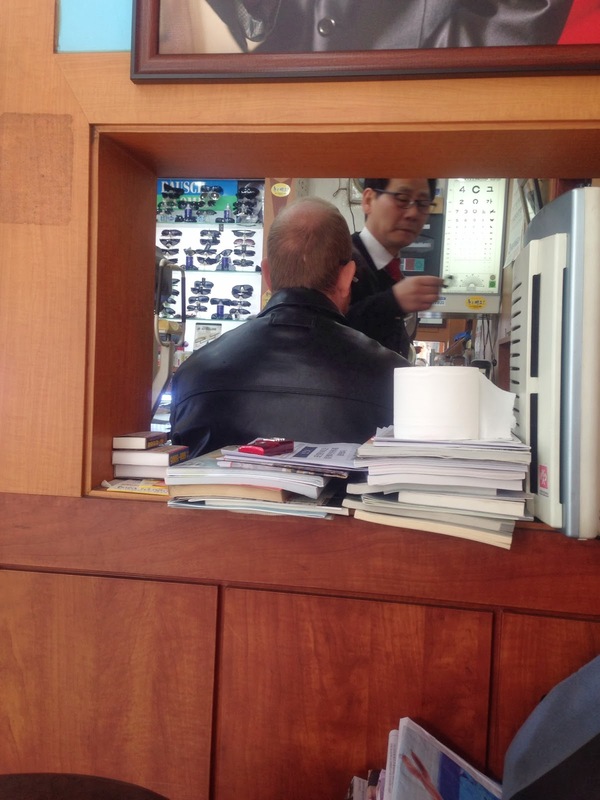 I wasn't sure if he would get the service he needed at such short notice, but the eye doctor spoke enough English and was nice enough to examine his eyes on the spot. For $75 he got a new pair of glasses that were ready for him in two hours! We spent the remainder of our afternoon indulging in the food court at the base which is full of eateries we don't have in Sasebo. Their Exchange was pretty nice, but you have to have a "ration card" or an active duty ID to buy anything. For another $6 we shuttled our way back to Seoul and prepared for the next day in Korea's capital city. After discussing how we wanted to spend our last couple of days in Seoul, the seven of us ventured out to find one of the biggest palaces in Seoul, Gyeoungbok Palace. 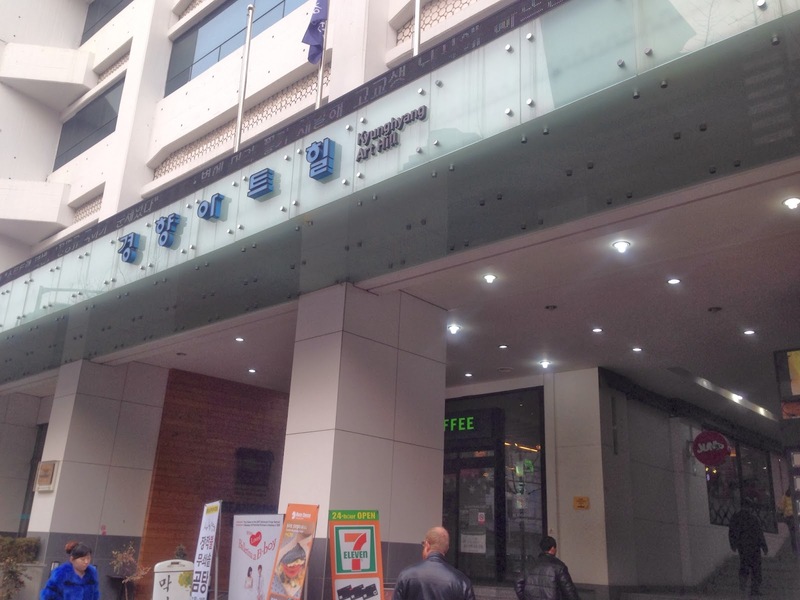 We thought we would take the City Tour Bus and pay the all day fee, but after reading that the bus's schedule is different on Sundays, we took the Metro (subway) to Seoul Station to check out some retail stores. I really enjoyed the Metro. It's clean and punctual, and you can download an app that tells you which lines to take for your destination. 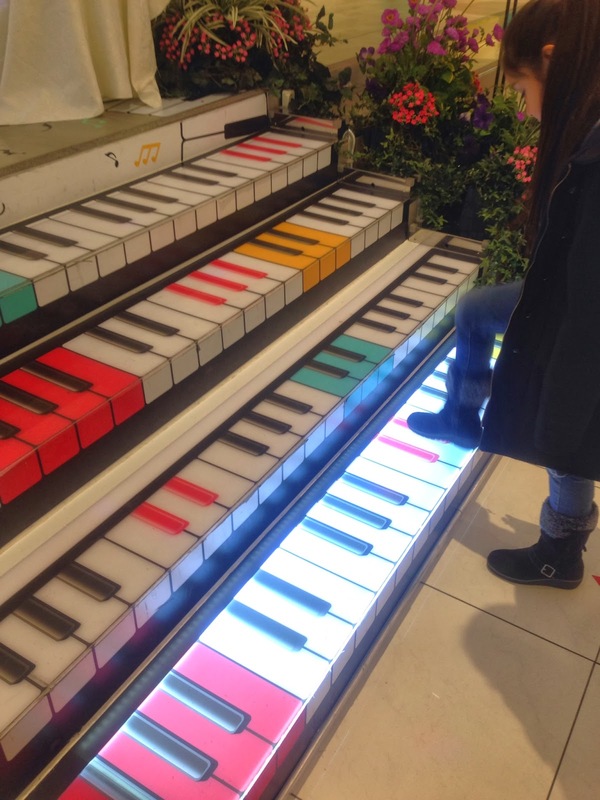 The "outlet" store merchandise was overpriced, but it had a cool musical feature that reminded me of the keyboard scene in the movie Big. Jumping back on the Metro, we made it to the palace. As soon as we stepped off the subway, there was a group of volunteer Korean students offering tours. Two of them politely asked us if we wanted a free tour of the palace, and we said, "Sure!" Hannah and Benny had extremely good English skills. I think they were 14 or 15 years old. The subway station exits right at the palace so we walked in to buy our admission ticket. Andrew and Benny hit it off right away. My husband's great at building rapport with kids. Andrew jokes around A LOT so I was relieved that both kids understood his humor. Sometimes American humor is lost on this side of the world. After we bought our tickets, there was a mock military exercise taking place. Our tour guides admitted that they thought this part was boring, so after we took some pictures we went into the palace grounds. The King's Power is supposed to reside in the pot. Only five colors were used to decorate the palace. Colored paint was expensive, so only royal buildings were painted. Dragons and other creatures were meant to scare off evil spirits. Hannah was really good at filling us in on the historical aspects of the palace. The palace grounds. Very big! Trying out some black and white shots. By the end of the tour I felt like I was finally having the kind of positive experience I expected to have in Korea. Benny and Hannah really helped turned my attitude around, and our tour of the palace was my favorite experience up to that point. Our final day in Korea was spent at the hotel mostly because we were tired and getting low on funds. However, my husband, son, and I bought tickets to a show called "Fantastick!" which was scheduled for 5:00 that evening. We spent the afternoon watching the closing ceremony for the Olympics and took a taxi to Kyunghyung Art Hill. This building houses several small theaters where different types of shows take place on a daily basis. 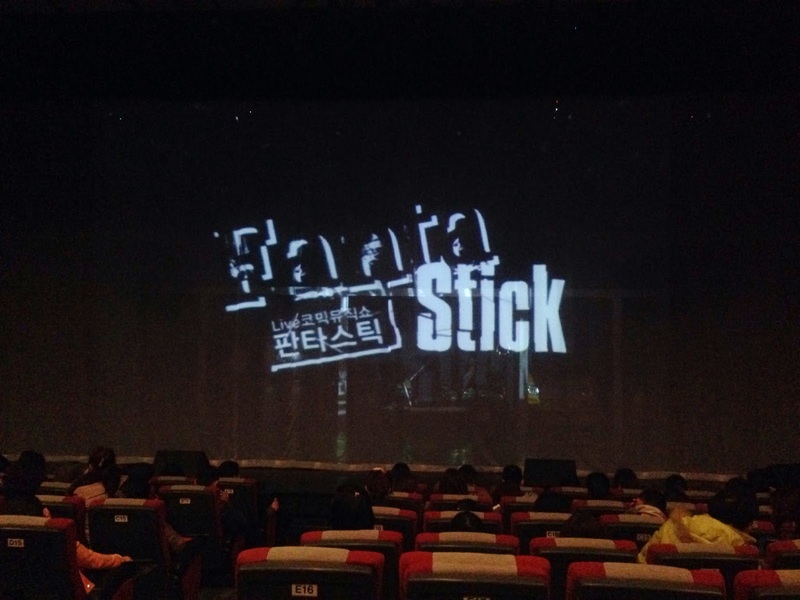 Fantastick is a lot like Stomp!. It features live drumming, flute playing, dancing, singing and acting. Anything that was in Korean was translated in English, so it was a very easy and entertaining show to follow. Photography was not allowed during the performance, so all I got was this picture. I highly recommend this show if you go to Seoul. It's perfect for the whole family and showcases some professional talent. Our day traveling back to Japan was spent in Seoul's airport for about eight hours. Our flight was delayed two hours because of horrible smog and the 9am shuttle to the airport was the only one that would have gotten us to the airport in time for our flight. Customs was a breeze in Japan and we took the city bus back to Sasebo from Fukuoka. It was cheap and punctual. 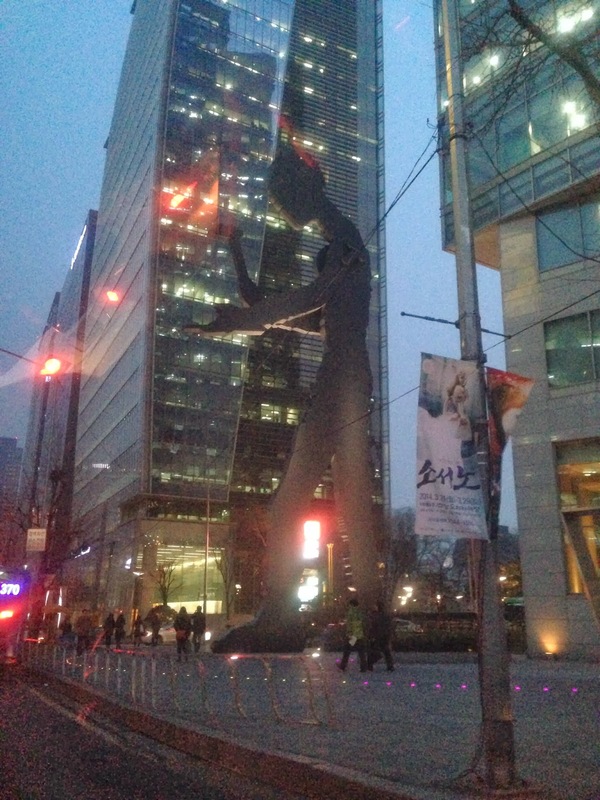 Overall, I thought we had an interesting trip to Seoul. I would go back and explore some of the hiking opportunities and take the DMZ tour. Travel theme. Theme images by deepblue4you. Powered by Blogger.